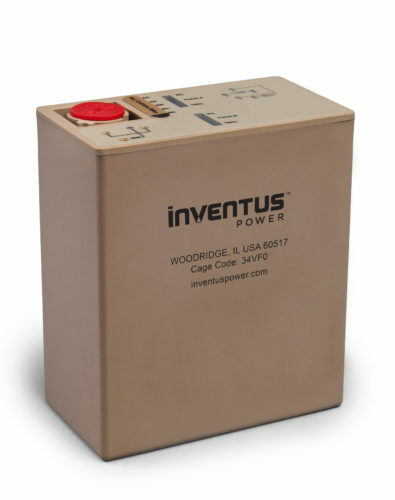 Inventus Power, a global leader in the design and manufacture of battery packs, chargers and power supplies for a broad range of markets and applications, announced today it is adding a high-capacity BB-2590 rechargeable battery as an extension to its offering of military-standard batteries. The BB-2590 will be available in Q4 2018, and pre-orders can be placed now with special discounted pricing. The BB-2590 is designed for missions where rugged, reliable energy is needed. The battery is SMBus v 1.1 and SBData v1.1 compliant, with an intelligent battery system and highly accurate fuel gauge display. It also features advanced thermal and over-charge protection. It is smart charge compatible with multiple charging options. In addition to its superior performance, the BB-2590 is competitively priced. Inventus Power has supported a broad range of markets and applications for almost 60 years and its long-standing partnerships with cell suppliers significantly drive down costs to manufacture a more cost-effective product; these savings are then passed along to the customer. Last month Inventus Power announced a Medical & Military Division, structured to better meet the needs of its global OEM customers, which often develop highly engineered and highly regulated devices. This division is supported with key investments in R&D, capital/equipment, infrastructure and staffing/talent management at its U.S. manufacturing location and corporate headquarters in Woodridge, Illinois. The BB-2590 is one of the many portfolio enhancements to come out of the division.